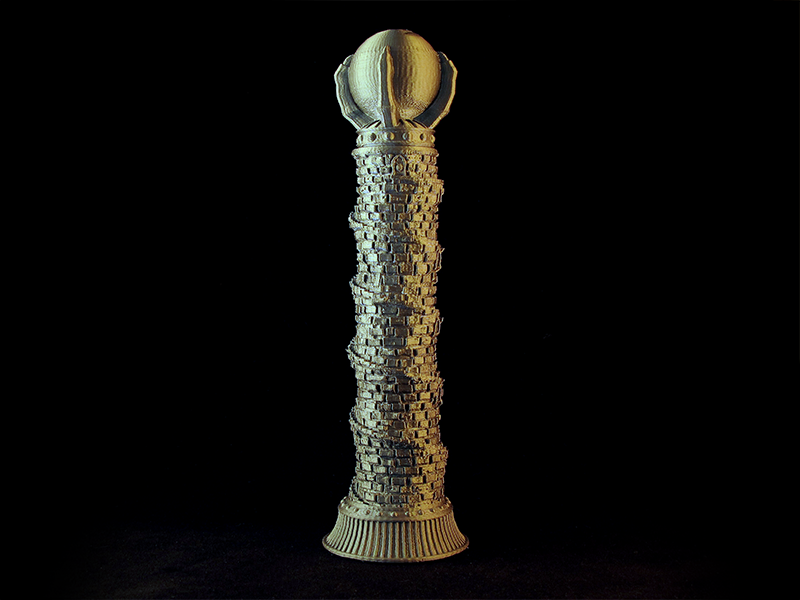 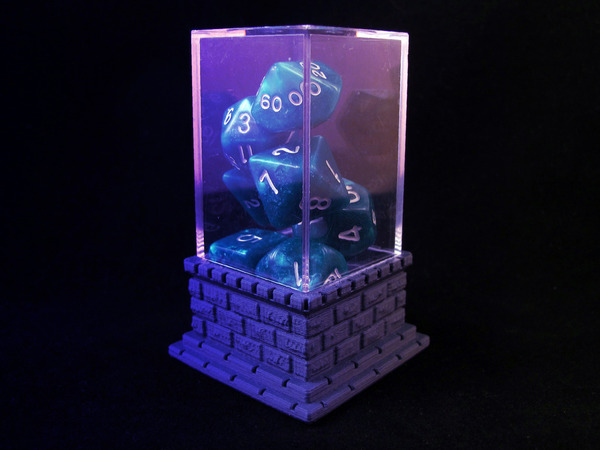 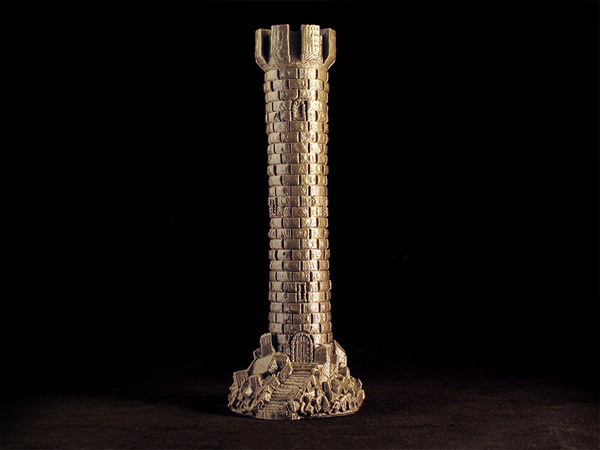 The Wizards' Eyrie is a screw-top tower designed to hold a full compliment of standard-sized RPG dice. 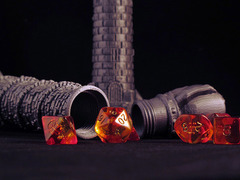 The Dragon Orb on top is removable with a quick twist of the wrist. When printed and assembled they're roughly the size of a banana and are sturdy enough to throw into a haversack ahead of a weekend's gaming.